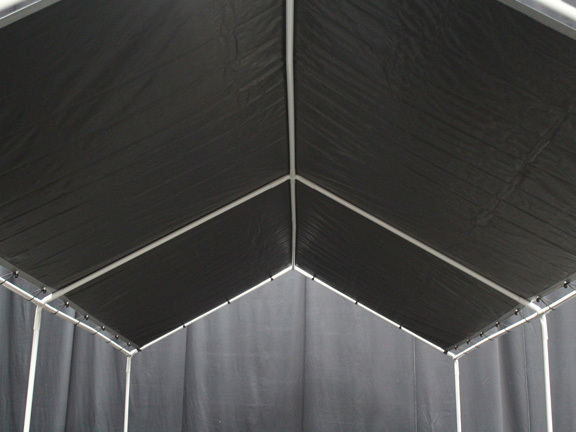 10' x 20' canopy has side height of 5'10" and the center height is 8'11"
Finding the right mix of functions in an outdoor shelter can be difficult. It doesn't have to be, though. 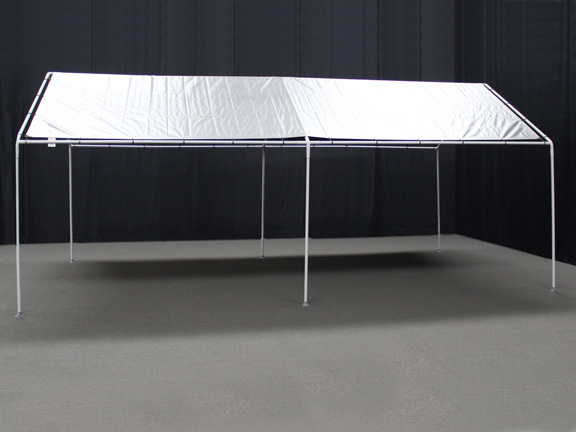 The King Canopy 10 x 20 Portable Garage Shelter with Silver Top, for instance, makes the process easy. 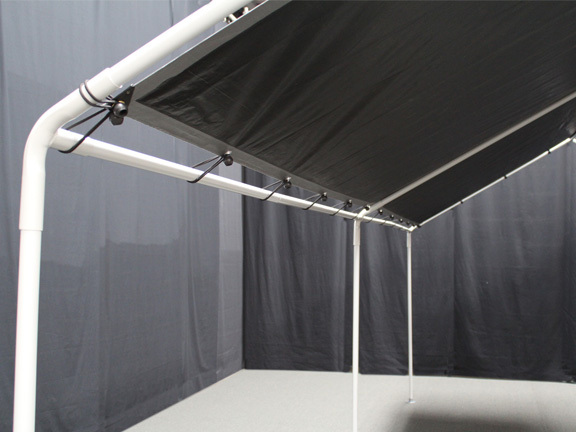 It offers lots of different uses, quality of construction, and a level of convenience that many owners find irresistible for all of their outdoor needs. That's because this 10 ft. x 20 ft. portable garage does everything you'd expect from a more permanent structure. 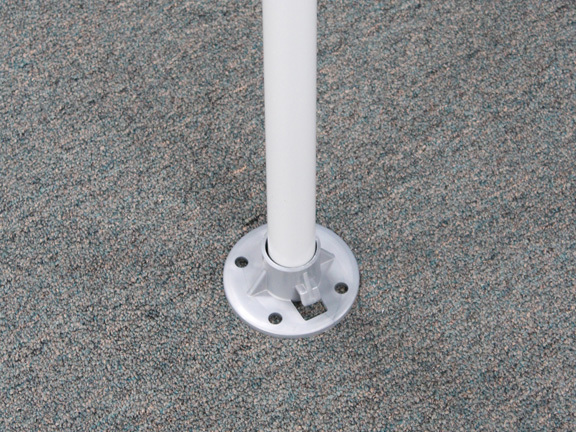 The white powder-coated frame provides is the starting point. 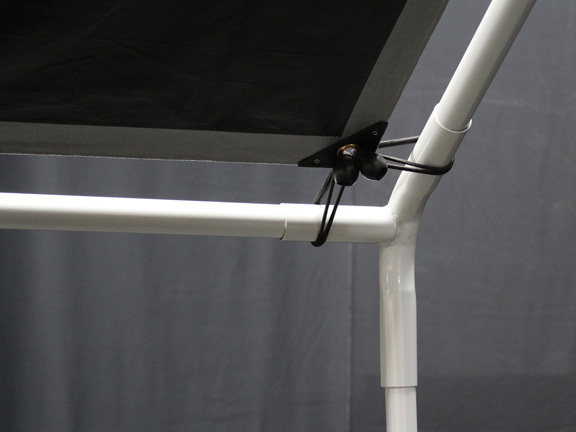 It features 6 legs for excellent stability, a surface that helps resist moisture and rust, and it's light enough to make the unit truly portable if you need to move it. Add to that the silver cover that keeps moisture and debris off of your valuables, and you start to see just how functional this unit can be. 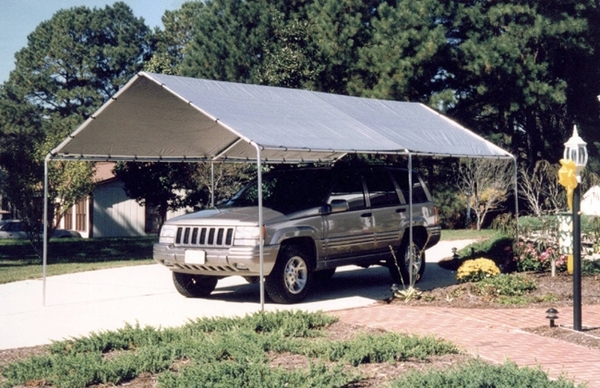 Permanent garages or outdoor structures cost a ton. Plus, sometimes your needs change and you need shelter in a different spot than you started out needing it. You can address all of these, though, with a relatively simple decision. 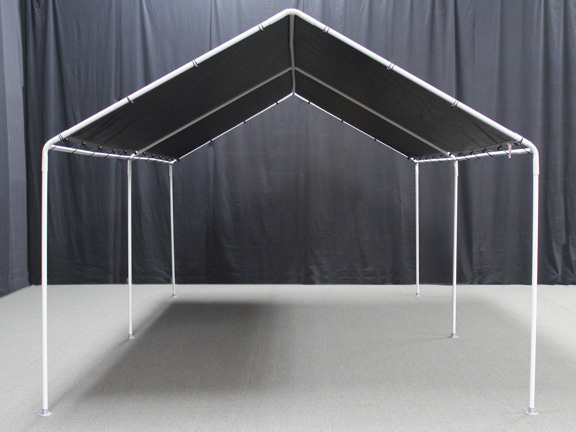 With the King Canopy 10 x 20 Portable Garage Shelter with Silver Top you can get the coverage you need in the areas you want it for a price that really makes the whole deal a great investment. Does this item come in green? It does not, however we do have a similar model by a different manufacturer. 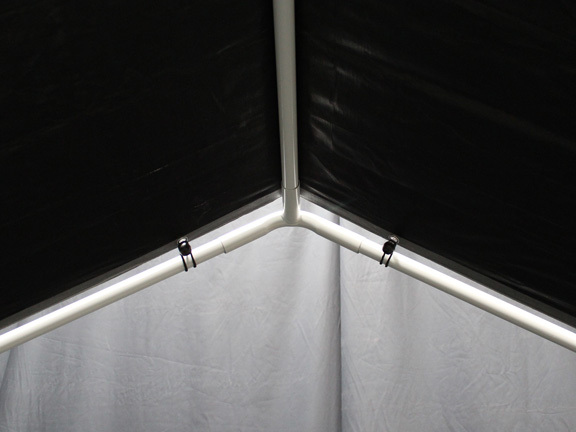 The item is the ShelterLogic 10 x 20 Green Decorative Light-Weight Canopy Shelter - 25765.
had this item for 6 yrs. still going strong , will need new cover soon , still good for south fl. The King Canopy has in the past as with the current purchase always served me well and usually last more many years. 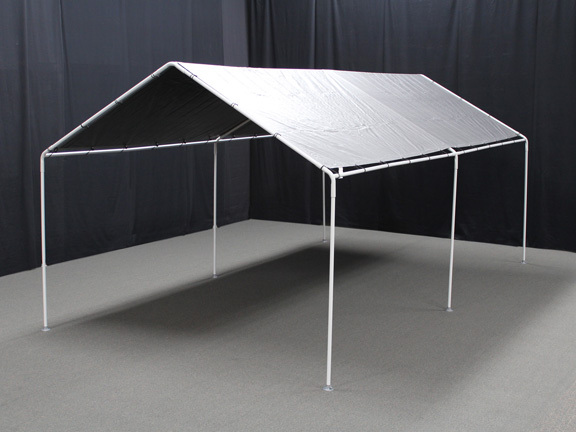 After a lot of review, this canopy fit the shade need for two cars because of the 6 leg design. Good value and simple to set up. THIS IS A GRATE CANOPY FOR THE PRICE. 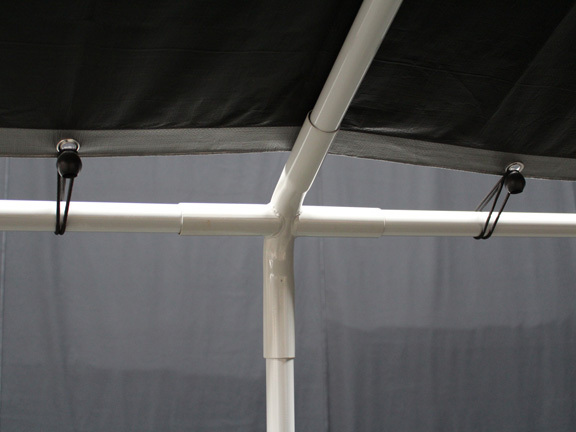 THE SHIPING WAS GOOD AND EASY TO PUT THE CANOPY UP.